Native Texan Ann Everett embraces her small town upbringing and thinks Texans are some of the funniest people on earth. When speaking to writing groups, businesses, book clubs, and non-profit organizations, she incorporates her special brand of wit, making her programs on marketing, self-publishing, and the benefits of laughter, informative and fun. 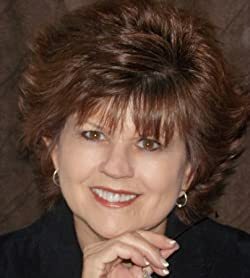 Ann pens romantic suspense and contemporary romance novels full of southern sass and Texas twang. 1. She’s been married to the same man since dirt. 2. She loves shopping at thrift stores. 5. She’s thankful wrinkles aren’t painful. Please enter your email address and click the Follow button to follow Ann Everett!